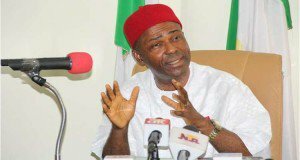 The proposed Assumpta Science Centre, Owerri, (ASCO), Imo State, being sponsored by the Vatican City would be replicated in the six geopolitical zones, Minister of Science and Technology, Dr. Ogbonnaya Onu, has said. The minister, in a chat with newsmen in Abuja yesterday said the Holy See is locating the project in Nigeria as a hub for Africa to shore up the interest of young Africans in science and technology so that they can take careers in areas of science, engineering and technology. Onu, who spoke on his recent trip to the Vatican City, restated that the difference between developed and developing countries was the utilisation of science and technology as instrument for development by the former. “The Holy See felt that it is important for young people in Africa to show interest in science and technology so that they can take careers in areas of science, engineering and technology and decided to site a project in Nigeria. “But in our own thinking, the Federal Ministry of Science and Technology believes we would not just have one branch in Nigeria. We are going to have one branch in each of the six geopolitical zones. We are happy that the Holy See decided to make Nigeria the headquarters because of the leadership role Nigeria plays in Africa,” he stated. Though the minister explained that Nigeria’s contribution to the project is contained in the Memorandum of Understanding (MoU) with the Holy See, he, however, declined to give details. Onu recently returned from a 4-day trip to the Vatican City where he met with Pope Francis and the President of the Pontifical Council for Culture, His Eminence Cardinal Gianfranco Ravasi and pledged the commitment of the Federal Government to honour its obligations as contained in the MoU signed in October last year for the take-off of the science centre.